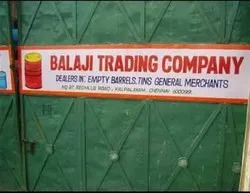 Established in the year 1958, "Balaji Trading Company" is one of the preeminent traders of ONCE USED plastic can, drums and containers. 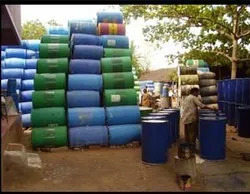 we bring forth for our clients a wide range of tin barrels. Apart from this, our comprehensive range finds wide application for storage and transportation of liquids in various industries. It is also used in burn barrels, barrel racing, deer feeders and construction related applications. 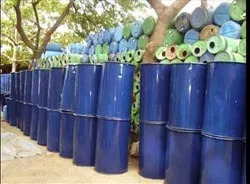 The applicability of our products in varied applications is become possible because of their attributes like compact and leakage proof construction, durability and high capacity. We source our entire range from the trustworthy vendors of the industry after conforming products' quality on various parameters. The professionals, recruited by us are well-versed in diverse professional fields and backed by vast industry experience. This helps them in procuring best products at industry leading prices from the vendors. With our quality and client centric approach, we have been able to win the confidence of widespread clientèle. Our esteemed clients are Raj Lubrication, Pentagon Lubrication, Sigma Corporation, Hincal, IWL India Ltd. and Petro Tec. Under the able guidance and visionary leadership of our mentor, "Mr. Lakshmi Narayana", we have grown by leaps and bounds. His expertise in the domain has helped us to strengthen our foothold in highly competitive industry. Further, the packaging unit, available at our place is equipped with sophisticated machines and tools. Based on advanced technology, these machines help in proper packing of the consignment. 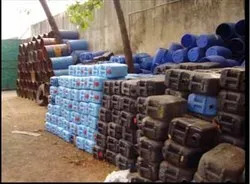 This ensures safe transit of the products to the clients. With the help of are dexterous procuring team, we have been able to source the products from vendors at cost-effective prices. This way, we have decreased the production cost without compromising with quality. Our team works in coordination with each other that helps them in procuring premium quality products from the vendors at cost-effective price. Further, we arrange regular training sessions to keep the professional abreast with market demands.